Dippy the Diplodocus is an awe-inspiring 292 piece skeleton cast. 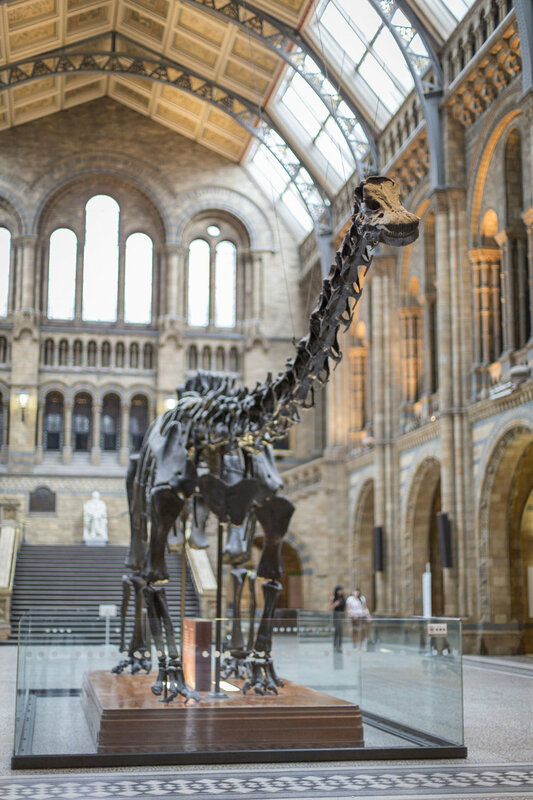 He has delighted visitors since he arrived in London in 1905 and Dippy on Tour: A Natural; History Adventure, which takes in eight venues across England, Scotland, Wales and Northern Ireland, is the first time he has been put on public display outside of the Natural History Museum. Gurminder Kenth, Museum Manager at Birmingham Museum & Art Gallery, said: “We are incredibly excited to welcome Dippy to Birmingham. The famous dinosaur has the ability to wow and inspire everyone from toddlers to grandparents, and it’s going to be an exciting time at Birmingham Museum & Art Gallery. An exciting programme of events is set to accompany Dippy’s stay in Birmingham. Fun for all the family, try your hand at palaeontology with a thrilling Dino Dig, delve deeper into Dippy’s past with curator’s tours, take part in crafts and trails throughout the school holidays, or enjoy a screening of Night at the Museum in partnership with Colmore BID. There will even be a Dino Children’s Menu in the Edwardian Tearooms to fuel your fun day at the museum! Find out more details on the website. Across the Midlands, there will be lots of dinosaur fun to get involved with during Dippy’s visit to Birmingham. Venues across the region, from Wolverhampton to Coventry and Shropshire to Warwickshire, will be hosting their very own natural history adventures, with an array of events and displays. More details will be revealed soon. Dippy on Tour: A Natural History Adventure is brought to you by the Natural History Museum in partnership with the Garfield Weston Foundation and supported by Dell EMC and Williams & Hill, working with eight partners UK wide to tour one of its most iconic exhibits over three years, with the aim of inspiring a love of nature. The Friends of Birmingham Museums Trust have funded vital work for the Birmingham Museum & Art Gallery exhibition to ensure Dippy has a longer legacy for the collections. The funds have allowed specialist conservation training for staff and volunteers to take place to ensure Birmingham’s amazing bird collection is ready for the exhibition. For further information and ticket information visit: birminghammuseums.org.uk/bmag/whats-on/dippy-on-tour-a-natural-history-adventure.